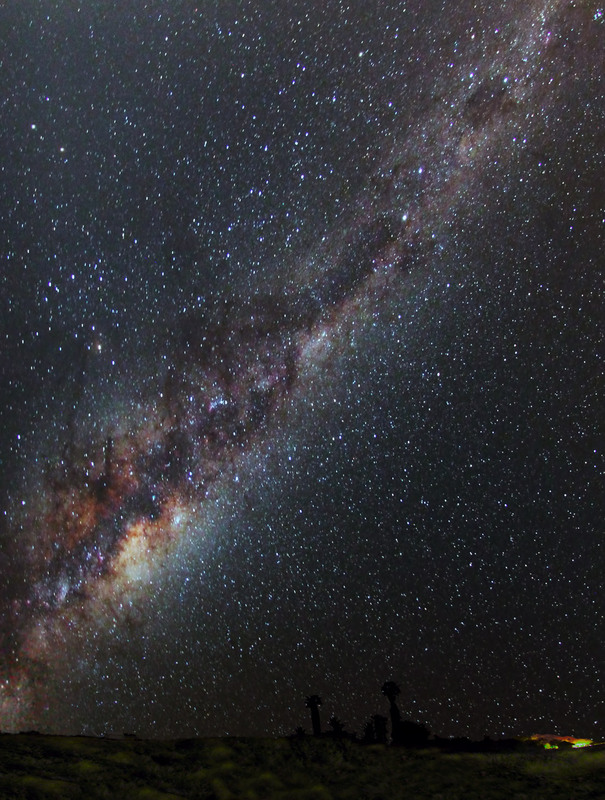 "Emu in the sky" is a constellation used in Aboriginal culture in Australia which is defined by dark areas in the southern Milky Way visible against the Milky Way background, rather than by stars. The Emu's head is the very dark Coalsack nebula, next to the Southern Cross; the body and legs are other dark clouds trailing out along the Milky Way to Scorpius. Hovering the mouse over the images will show its outlines.